Come back often as we update this page with up-to-date information and resources. We encourage all AAPCHO members and partners to contact their Members of Congress and remind them that Medicaid is essential for health centers and the millions of patients we serve! Set aside time to call your senators. See tips and how-tos for calling your elected officials and our Protect Medicaid Toolkit for a call-in script. Ask other health center staff, patient leadership and other partners to join in your effort. Ask your health center to set aside time and/or space to allow individuals interested to make the call. Follow @AAPCHOAdvocates on Twitter and use #AAPCHO4Medicaid to join the conversation! See our Protect Medicaid Toolkit for sample tweets/posts and shareable graphics. Focus on your senators and representatives. Remind them that Medicaid is essential for health centers and our patients! To find and for tips on how to contact your elected officials, click here. If you have any questions, contact Heather Skrabak at hskrabak@aapcho.org. 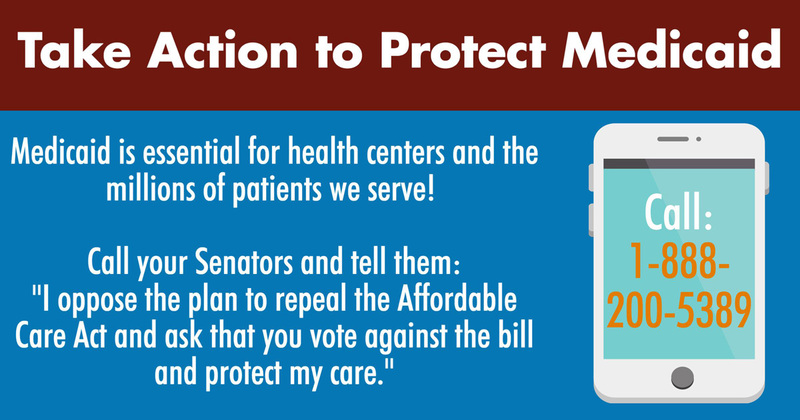 Tell senators Medicaid is essential for health centers and the millions of patients we serve! The U.S. Senate is quickly working to pass legislation to make significant changes to Medicaid and the health care system as a whole. Proposed cuts would severely impact health centers and the patients and communities we serve, including Asian Americans, Native Hawaiians and Pacific Islanders (AA&NHPIs). Now is the time for us to contact our senators to tell them that Medicaid is essential for health centers and millions of Americans. Medicaid reimbursement makes up the largest percentage of health center revenue and for AA&NHPI-serving health centers, Medicaid makes up an even larger percentage of revenue than other health centers. 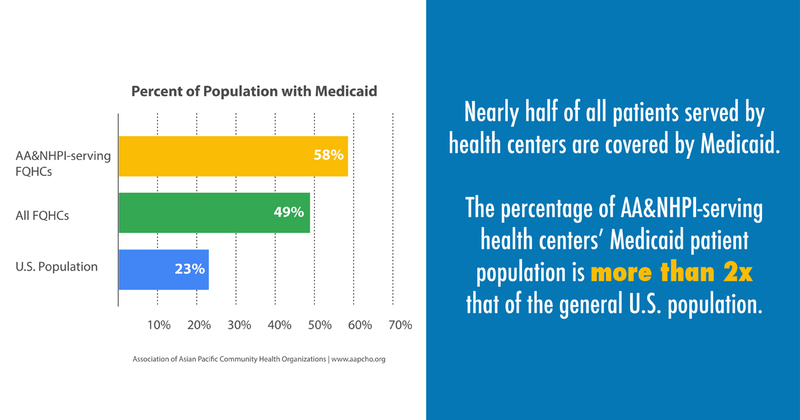 Nearly half of all patients served by health centers are covered by Medicaid, making it essential funding for communities we serve.